AEM Technologies, a subsidiary of Rosatom’s nuclear engineering division AEM, has obtained an approval from the Turkish Atomic Energy Authority (TAEK) for production of equipment for the Akkuyu project. 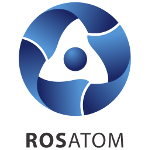 The certificate of approval issued by TAEK entitles Atommash (Volgodonsk, Rostov Region) and PetrozavodskMash (Petrozavodsk), subsidiaries of AEM Technology, to manufacture equipment for the Turkish nuclear power plant. In particular, Atommash will produce reactor vessels for Akkuyu power units. Akkuyu NPP will have four Russian-made Generation 3+ units based on VVER-1200 reactors and fully compliant with post-Fukushima requirements. Each of the units will have a capacity of 1,200 MW. The project price is about 20 billion US dollars. Turkey expects to commission Unit 1 in 2023.